Burma or Myanmar is rapidly emerging from decades of isolation and a crippling military dictatorship. In this new environment, visitors soon discover that it is a pleasure to interact with the Burmese people who are kind and gentle, formed by the pervasive and spiritual Theravada Buddhist culture. Due to the many years of political and economic isolation that the Burmese have endured, traveling there is taking a step back in time. Now is the time to go, before western influences alter their intact daily life and customs. In the villages people still dress in indigenous clothing and buffalo and oxen are still used to plow the fields. In many ways the Burmese live their daily lives as they have for centuries, and the wide diversity of ethnic groups and ancient pagodas assures us of images that are unique and unforgettable. Our journey throughout Burma will begin and end in Yangon and take us on a short flight north to Bagan, where we can take a balloon ride over the many pagodas the following dawn. We will spend three nights in Bagan, visiting and photographing the amazing array of pagodas that sprawl out over the plains. We will then fly to Mandalay with it's array of pagodas and monasteries. We will allow enough time to visit Mingun, with it's large monastery facade with a wide crack running down the face. Mandalay is also the home to arts and crafts in Burma. From Mandalay we will fly to Heho and spend one night in Pindaya to visit the Shwe Oo Min Natural Cave Pagoda with hundreds of Buddha statues. We will then drive to Inle Lake for two nights before returning to Yangon. This is a "classic" tour of Burma in that we will visit many important and photogenic sites as we make the circuit from Yangon>Bagan>Mandalay>Pindaya>Inle Lake and back to Yangon. I first visited Burma in November, 1967, traveling from Calcutta to Bangkok when tourists were allowed to stay for only 24 hours. My wife Jackie and I visited again in 198, and I returned in 2013, 2014 and 2015. In 2013 I met Win Kyaw Zan, who has designed and led tours for many well-known photographers such as Art Wolfe and Nevada Weir. Win and I have become close friends and I feel very fortunate that he will be available to accompany and guide us on this tour. Aside from being an excellent photographer, Win is very helpful with the local people and helps us understand and respect cultural and religious norms. Plan your flights so you arrive in Yangon on October 29, or you may choose arrive a day early to recover from jet lag. (Arriving a day early requires an additional cost for a hotel room for one night and meals). You will be met at the airport on arrival and transferred to the hotel. We will have an evening orientation and proceed to the Shwedagon Pagoda for dramatic twilight images. Kwandawgyi Palace or similar hotel. If you prefer to arrive a day early, please let us know and we will try to reserve a hotel room and pick you up at the airport. There will be an early morning pick-up for those going on a hot air balloon ride. If you are not going, you can take a horse cart to photograph the sunrise or sleep in and enjoy breakfast by the pool. For those going on the balloon ride, there will be tea or coffee and a most amazing flight over the sweeping plains of Bagan. We will then return to the hotel for breakfast and re-group. We will proceed to photograph the Shinpintharlyaung Reclining Buddha with children, monks or nuns praying and meditating. Lunch will be at the Tharaba Restaurant and we will then proceed to the spectacular Ananda Pagoda, which contains the most beautiful Buddha images in Bagan. We will then visit Minanthu Village to photograph the villagers' daily life and ask them to pose for us at sunset. Dinner will be at the Sunset Garden Restaurant or at the hotel. Depending on the light, we may venture out for night photography, either star trails or the Milky Way B,L. Today we will fly from Bagan to Mandalay and check into our new hotel. In the afternoon we can visit the area of Mandalay where craftsmen work carving large marble Buddha statues, casting bronze statues, and forging iron. We will have an opportunity to visit a woodcarving studio and this will be an excellent time to purchase a hand-carved Buddha or other Buddhist sculpture. Mandalay has always been the center of creativity in Myanmar, creating statues that are transported to various pagodas. Sedona Hotel or similar, B,L. 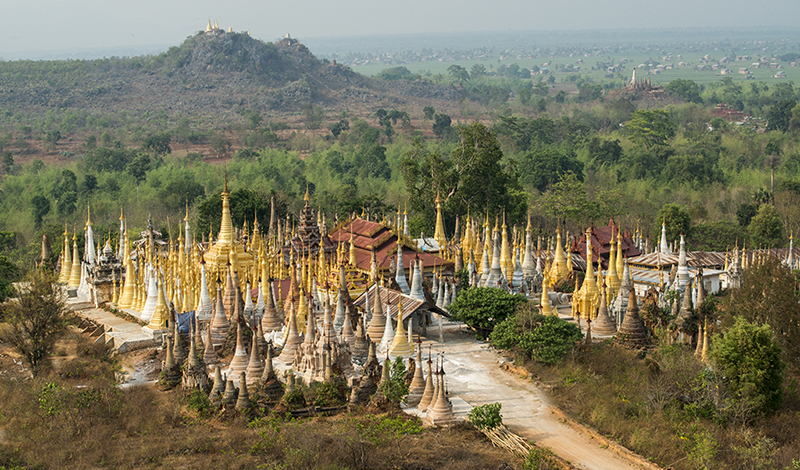 We will drive to the beautiful, large unfinished pagoda at Mingun, located on the banks of the Arrawaddy River. This pagoda is distinctive in that it has several large vertical cracks running down the front, caused by and earthquake in 1839. Later in the afternoon we will go to Amarapura, the location of U Bein's Bridge, the world's largest teak bridge. We will be there at sunset to capture the best light as the sun sets behind and underneath the bridge. Sedona or similar hotel. There are many excellent restaurants in Mandalay for dinner or we can return to the hotel. Sedona or similar hotel, B,L. We will have an early flight from Mandalay to Heho where we will be met by our driver and taken to Pindaya, home of the Shwe Oo Min Natural Cave Pagoda. This natural limestone cave contains more than 8,000 Buddhas, which have been donated by patrons from around the world. We will bring candles and place them in front of select Buddha statues for images that are unusual and compelling. Lunch at a lovely outdoor restaurant on the shore of Pone Taloke Lake, located just below the cave. Later in the afternoon we will transfer to our hotel and have an opportunity to explore the charming small city of Pindaya. For those who want to get up early we will be one the lake for sunrise and try to get photographs of fisherman as the sun rises as seen above. Later, we will take a boat to the northern end of the lake and visit Shwe Inn Thein Paya, a grouping of old pagodas that date from the 17th and 18 centuries. This area was only recently re-opened to tourism due to local unrest and while some of the pagodas have been refurbished, many are in ruins and walking among them makes one feel like an early explorer. There is also a nearby market place with unusual offerings that are not seen in other areas of Myanmar. After breakfast you will be driven to the Yangon Airport to connect with return flights. The cost of the trip is $6950 per person, double occupancy. A single supplement is $1950.00. The optional Balloon over Bagan costs $325 per person and must be booked six months in advance. We have decided to not include most dinners in this tour because many people are tired after a long day of photography and prefer to return to the hotel and eat there. We will recommend restaurants for those who want to go out to eat in Bagan, Mandalay and Pindaya. A non-refundable deposit of $1,000 is required with registration. A payment of 50% of the trip cost is required 120 days prior to departure (July 1, 2017). The final payment is due 60 days prior to departure (September 1, 2017). Cancellations more than 120 days prior to departure will receive any deposits less $1,000. Cancellations made less than 90 days but 60 days prior to departure will fore fit 50% of the trip cost. Cancellations made less than 60 days prior to departure will forfeit all deposits. Asia Photo Tours and Douglas Steakley Photography Tours and Expeditions and their agents act only in the capacity as agents in all matters pertaining to hotel accommodations, sightseeing tours, and transportation, and are not responsible for any loss, damage, theft, or injury to persons or property resulting from a defect in any vehicle, or the actions of any persons who provide services for this tour or for the action or inaction of any third party. Baggage is at the owner’s risk entirely. The tour operator reserves the right to withdraw the tour at any time, to decline any person as a member of the tour for any cause at any time. It is the responsibility of each tour member to inform the tour operators of any possible health problems or handicaps upon registration. By forwarding a signed reservation form and trip deposit, you certify that you do not knowingly have any physical or other conditions of disability that would create a risk for you or other trip participants. Once a trip has been confirmed, medical circumstances will not be considered as exceptions to our cancellation policy. We assume no responsibility for medical care or for special dietary requirements. While Asia Photo Tours and Douglas Steakley Photography Tours and Expeditions endeavor to make the itinerary as accurate as possible, it should be considered an approximate schedule of activities, rather than a rigid schedule of events. Trip itineraries are subject to revision due to weather or other conditions, government restrictions, and other reasons beyond our control. The tour leaders have the right to make changes to the published itinerary, whenever in their judgment conditions warrant, or if they deem it necessary for the comfort or safety of participants on the tour. While this tour is designed for photographers, non-photographer spouses and others are also welcome. My experience has been that almost everyone wants to return with stunning images and improve their photographic skills and to that end, we will have photography discussions whenever we have some free time. In these sessions we will review a wide range of topics, such as which shooting mode to use (aperture, shutter or program), jpeg vs. raw capture, composition, exposure, and much more. We will also review processing images in Photoshop and Lightroom as time allows. It has been my experience with past tours that everyone's skill level improves dramatically regardless of their starting point. 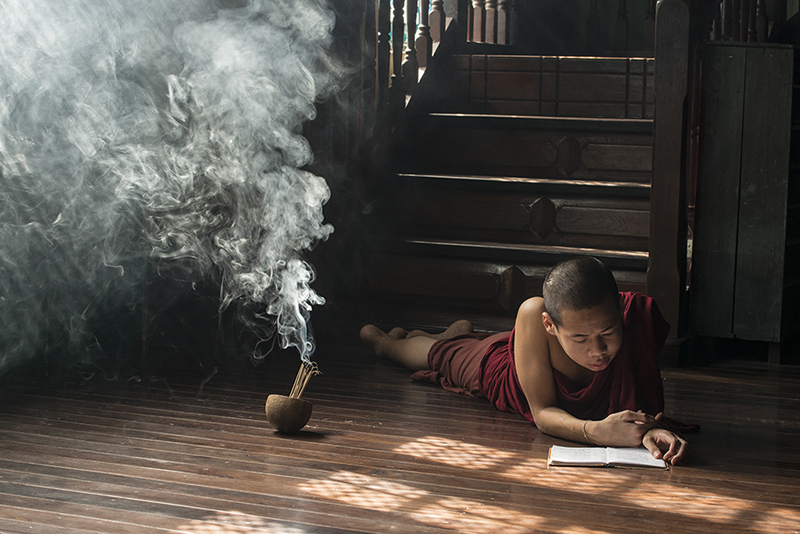 ~We will ask local people to assist us in composing our shots, such as monks lighting candles or walking into the sunset. Whether you are an advanced photographer or a beginner, you will appreciate the numerous photo opportunities that will avail themselves and the time we will take to review images and discuss shooting techniques. We are always on the lookout for scenes and people that are photogenic and will make suggestions about how to compose a subject and which camera settings to use. Please ﻿﻿click here﻿ ﻿for a registration form and here for a liability release form.